A variety of Emergency position indicating radio beacons are shown., principally the 121.5/243 MHz intended originally for civil aviation and military distress, and the more sophisticated 406MHz for world wide coverage. The 406MHz models are now readily available and supersede the older 121.5 MHz only models. 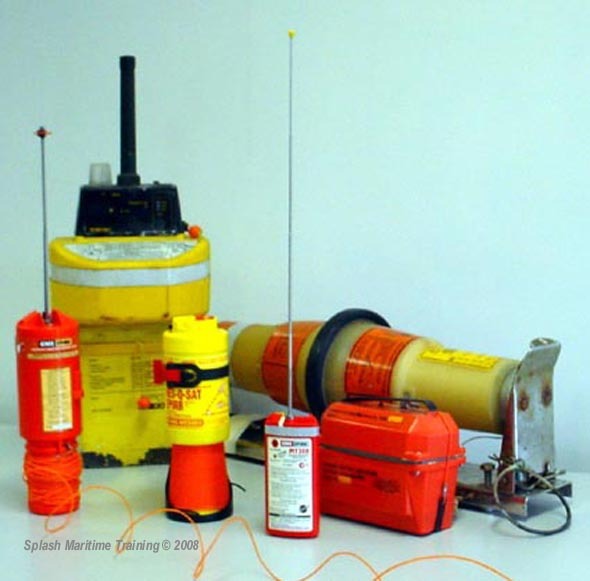 The 406MHz is mandatory for all Australian vessels that need EPIRBs to meet their survey requirements (ply offshore).